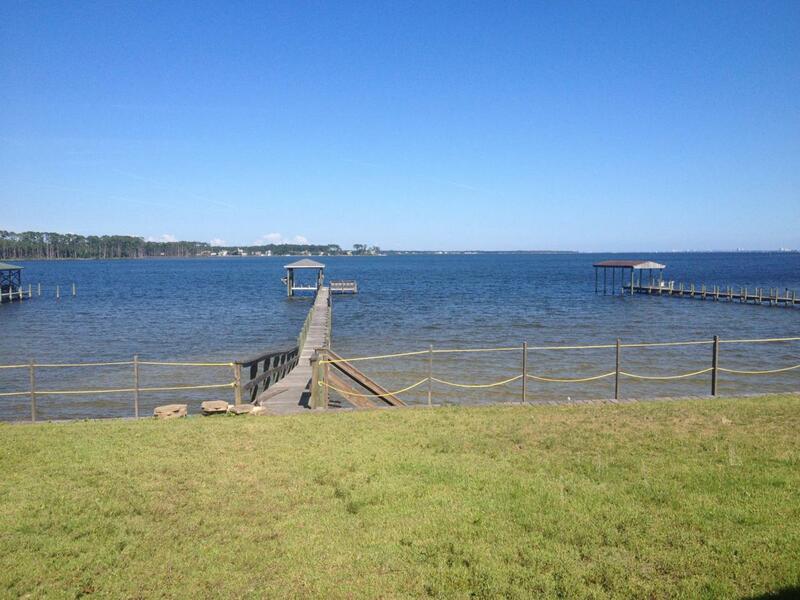 Large Magnificent WATERFRONT Home, furnished/unfurnished directly off the East gate of Eglin. This is a gem of a property and competitively priced for the right renter. Burglar, Fire and Emergency Alarm system. 120ft on the water with dock and covered boat lift capable of accommodating 26ft+/- boat. Unobstructed views and access to beautiful Choctawhatchee Bay and the Gulf. This gorgeous home is surrounded by majestic oak trees laden with spanish moss which adds to it's southern charm. It was entirely remodeled recently and boasts oversized porcelain tile throughout, stainless steel appliances, granite counter tops and more. This is truly a one of a kind property in a very secluded and quiet neighborhood at the end of a cul de sac yet so close (walking distance) to Eglin. press more...Have breakfast in the glassed-in lanai. 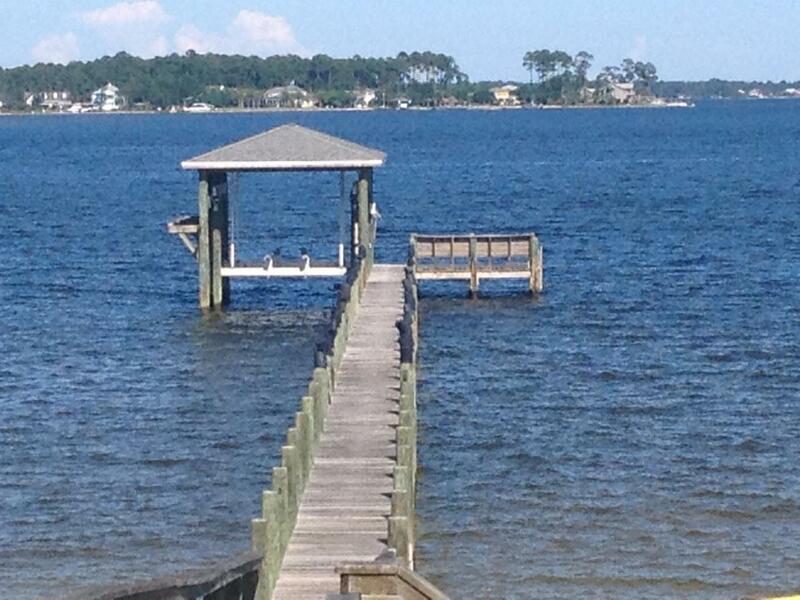 Watch dolphins on the dock, take your boat to the beach in no time or catch big red fish right off the dock. Huge Bedrooms, Den and Living Room. Lots of closet space, double car garage and extra big lot to park your toys, boat trailers etc. This property is available unfurnished or furnished if you chose with all amenities including all furniture, washer and dryer, silverware, dishes, glassware, cooking utensils, bath towels, sheets, bicycles and much more. The home is currently tenant occupied and should become available mid to late April but can be negotiated. Appointments for showing can be arranged most days of the week or weekend. One year lease preferred but will consider shorter terms. Background/Credit check required. More pictures will be posted in the coming weeks. Please don't hesitate to reach out if you have any questions. Our past and present tenants have been delighted with this home and call it paradise. We are happy to reply to all inquiries. Thank you for watching. Home is occupied. Please DO NOT stop by without making an appointment or prior arrangement with agent. Thanks.